X1 creates exceptional solutions for people and organizations that need to find information, whether on individual desktops, company networks or social media at the fastest speeds in the industry. Powered by patented1 and award winning technology, X1 supports more than 600 enterprise customers and more than 500,000 active commercial and government users. X1 was named after the Bell X-1, the first airplane to exceed the speed of sound. X1’s name invokes the innovative, paradigm-shifting speed of the Bell X-1, allowing mankind to travel from one place to another faster than ever before. In a similar fashion, X1 strives to shift the search paradigm, allowing people to find and act upon information as fast as possible. To that end, X1 leads the industry in providing the best user experience for search and eDiscovery solutions across a diverse range of business uses and IT environments; uniquely supporting search on traditional or virtualized desktops and servers, including servers in virtual data centers or in the cloud. At the same time, X1 provides a very intuitive ‘single pane of glass’ through which professionals can view and act upon critical information. Whether looking for local emails and files stored in Exchange or SharePoint or attachments scattered across network servers and the cloud, X1’s unified interface displays reliable, comprehensive results as fast as you type, as well as integrated, application specific post-search actions allowing users to act on information once it’s found. X1 is highly popular because our products quickly locate critical data, enabling our customers to dedicate time saved searching or recreating work to thoughtful analysis, problem solving, and improving their organization’s bottom line. 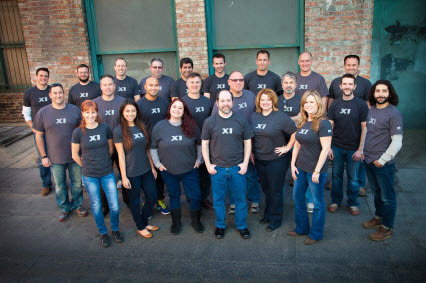 X1 was founded as X1 Technologies, Inc. in 2003 and X1 Discovery, Inc. was formed in 2011 to expand the X1 product line to include eDiscovery and social media products. In 2012, the full suite of X1 products was combined under X1 Discovery, Inc.